One thing that people may not know about the science fiction community is the strong ethic to "pay it forward." [i.e. When someone shows you an act of kindness, instead of paying the person back, you pay that kindness forward to someone else.] This is one thing that I love about the people as well as the SF genre. It's a philosophy that I try to live by, especially whenever I am writing or editing. 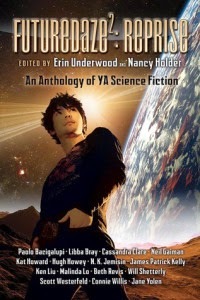 Paying it forward and bringing great SF to others (like those who brought it to me) was front and center for me as my coeditor Nancy Holder and I developed ideas for our new book Futuredaze 2: Reprise, a reprint anthology of science fiction for young adults. My passion for science fiction goes beyond a love for science and technology. It goes beyond the question of "What if?" that challenges us to think about what else might be out there and what else might be possible. 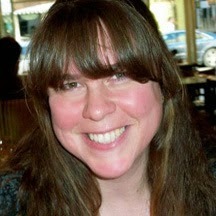 My passion for science fiction grew out of my experience of being abused as a child and raped as a teenager. The truth is, I was hurt and I needed a safe place to heal, and that's what I found in science fiction. In that way, science fiction saved my life and I owe it a debt. My experiences could have destroyed me since I hid what happened from all of the adults in my life. Yes, I was one of those kids who kept secrets to protect my mom. Not only was she battling cancer, but for most of her life, she worked at least two jobs just to keep food on the table. I didn't want her to have to worry about me on top of everything else. Instead, she just thought that my love of reading was one of those things that kids do. It was through the act of reading science fiction and fantasy that I coped with what happened to me. I learned a lot about the world, about people, and about myself in the pages of books written by Connie Willis, Ursula K. Le Guin, Terry Brooks, Isaac Asimov, Robert Heinlein, Madeleine L'Engle, Roger Zelazny, and others. I saw myself in their characters. Their rewards and punishments were my rewards and punishments, and we learned our life lessons together as we battled against the odds to triumph over the "Great Evil." Their choices and experiences gave me a safe space to learn and grow into a strong and capable person. When I was reading for Futuredaze 2: Reprise, I scoured mixed-genre and adult anthologies, collections, magazines, and online sites in search of young adult science fiction short stories--many of which were already out of print. I looked for stories that made me remember what I loved about science fiction when I was younger. After all, if I was going to share a story with you, I was going to have to love it. So, that was the bar for every story in Futuredaze 2: Reprise. Essentially, Futuredaze 2: Reprise is a "best of anthology" that features reprint stories that Nancy and I got to hand pick, stories that we thought represented the best of what science fiction has to offer. Science fiction gives you the space to imagine what life might be like if things were different. It opens the imagination to explore both "the possible" and "the probable" future in order for us to become the people we want to be because it challenges us to look beyond our own experiences. It encourages us to imagine the lives of others as well as what the future might hold based on the choices we make today. Each story within Futuredaze 2: Reprise from Neil Gaiman's "How to Talk to Girls at Parties" to Cassandra Clare's "I Never" holds something special. Love. Freedom. Choice. Laughter. Tears. They each hold a part of us. I still find myself giggling when I think of Scott Westerfeld's scarcity projects, but I digress! When Nancy and I settled on our final list of stories to include in Futuredaze 2: Reprise, we realized that there was no chance to get them all since our proposed Table of Contents was a YA/SF dream team. Since the number of reprint YA science fiction anthologies is nearly non-existent, our TOC was one of those "too good to be true" lists. However, this was the book we wanted, so this was the list we went after. As a result, we acquired the rights to reprint every story, except for one. That's 15 out of 16 stories -- a great percentage by anyone's standard. When I look at Futuredaze 2: Reprise, I see a "thank you" note to my literary heroes hidden between the covers, and it's an honor to share this fantastic science fiction with YA readers who have a whole universe of fiction to discover. And, in a minor way, this is my way of doing for others what my literary heroes did for me. I recognize the somewhat romanticized nature of this post. Then again, I make the choice to walk on the brighter side of the street. I am done with living in the shadows. Life is a progression of possibilities based on the choices that we make every day. Science fiction taught me that we all have the power and potential to change the world through small acts like paying good deeds forward. Futuredaze 2: Reprise is my way of "paying it forward." It is an anthology that represents the idea that young people can be whoever they choose to be, and that they can change their world. This is what I learned from science fiction at an early age, and it's what made the difference for me. Futuredaze 2: Reprise is a work of fiction that I hope you enjoy. There are 15 amazing authors here who have each helped to define the science fiction genre in their own way, and it is my pleasure to bring their work to you. Happy reading. Futuredaze 2: Reprise includes fifteen of the best and most brilliant young adult science fiction stories, written by the hottest SF and YA authors, gathered for the first time in one anthology. Wild-west steampunk, true love with the alien next door, a confab with Mr. Darcy's avatar, musical fluted girls, and Dorothy in alt-China--this is not your mom and dad's science fiction. Grab a friend and go for launch to worlds of wonder that reveal who we are and what we want to become through our decisions, relationships, and the chances we take on our futures--across all universes! Featuring stories from, Paolo Bacigalupi, Libba Bray, Cassandra Clare, Neil Gaiman, Kat Howard, Hugh Howey, N.K. Jemisin, James Patrick Kelly, Ken Liu, Malinda Lo, Beth Revis, Will Shetterly, Scott Westerfeld, Connie Willis, and Jane Yolen. I typically like sci-fi. The more creative an author gets (within reason, my brain only understand so much. You have to be able to explain well) the better. This book sounds really interesting. I've always loved sci-fi and fantasy. I'm a sci-fi fan. Just the other day, I was narrating what I was doing and didn't realize what I did. My co-worker reliterated what I did. I was doing what a Trekkie fan would be doing. I had a very unhappy childhood, filled with violence. What saved me was reading, and especially the SF and Fantasy of Isaac Asimov, Ray Bradbury, Tanith Lee and so on (incidentally, Lee's 'Crying in the Rain' is my all-time favourite YA SF short). You've done a wonderful thing with this project - and you never know, it may open a door of possibility and escape for some poor tormented kid today. Thank you. Thanks, Cathy. It really does sound sooo sentimental, but science fiction, especially SF that is geared toward teens, is really important to me. :-) It was actually Roger Zelazny who made me want to write and publish. After reading his Amber series, I started making up my own stories. That's when my own life began to change for the better.